of Engineering equipment for the lead and zinc refining industry. 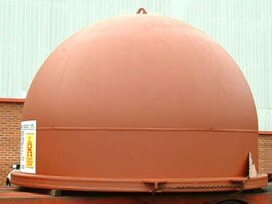 We design, manufacture and install furnaces, furnace settings, lead and zinc kettles, hoods, platforms, piling tubes as well as purpose built and and general steel fabrications. Our engineering and design departments are established in Manchester, England near the M60, M62 and M67 motorways . 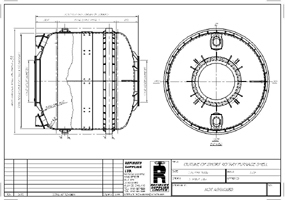 We have the experience to design and produce working drawings for all types of lead and zinc melting equipment and steel fabrications, utilising both traditional methods of drawing and Autocad LT2014. Our purpose built manufacturing plant is in Middleton, Manchester, England near the M60, M62 and M6 motorways. Our work force have considerable expertise in the manufacture of steel fabrications and all employees have served recognised apprenticeships. The workshop is suitably equipped with overhead craneage, Submerged Arc - M.M.A. - MIG welding equipment, rotators and positioners. are carried out in our purpose built furnace. Which is 6M x 5M x 4.2m in height. Utilising state of the art monitoring with a EUROTHERM recorder. All the non-destructive tests (radiography, ultrasonics) are carried out by approved inspectors who are totally independent of our company.